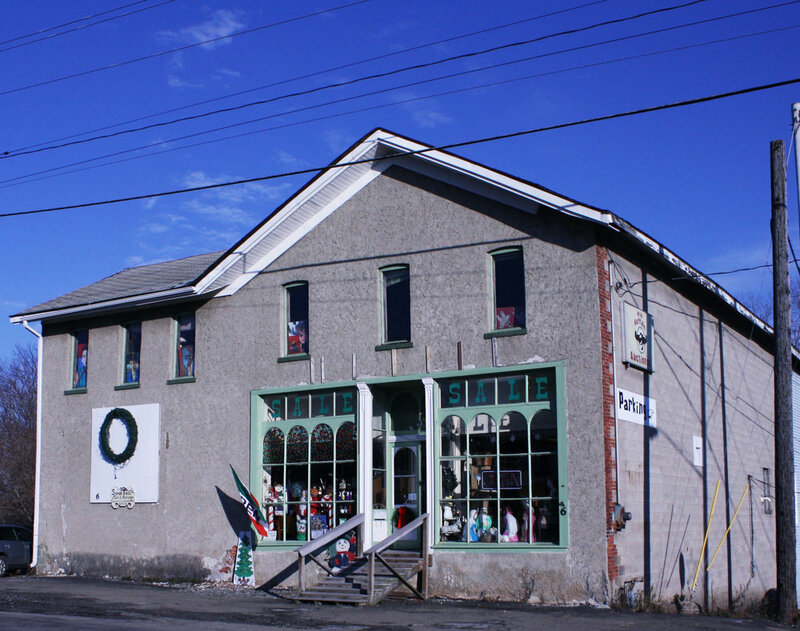 Shade Tree Flea & Antiques is an antique and used furniture store located in a historical building in Angola, NY. Shade Tree Furniture & Antiques is a used furniture, collectibles, and antiques store located right in the heart of Angola, NY, just 30 minutes south of Buffalo. We buy, sell, and deliver everything from dressers to silverware. We have new items every week! Give us a call today at 716-534-3126 or stop by the store and see what we have. Check back for upcoming sales and events. Years ago, my husband and I started collecting from auctions, yard sales, and estate sales. Soon, of course, we were like "what do we do with all of it?" We started selling here and there at our own yard sales, flea markets, and wherever else people would buy things. Eventually, we had the idea to begin a flea market of our own in our back field, along with a little store. I had planned on having each vendor space with it's own little tree for shade or to lean and hang items on. Hence the name, Shade Tree Flea & Antiques. However, that plan never came about due to many circumstances beyond our control. Next, we began renting storage at a flea market where we could sell our antiques and collectibles, which eventually shut down. All the time, we were still accumulating more than we could sell at the time. It's kind of an addiction. Finally, we found a building (our current location) with a storefront and figured we'd give it a go. We decided to keep the business name Shade Tree Flea & Antiques so that people know we aren't just about antiques... but also partly a flea market atmosphere. The flea market aspect lets people know we don't mind a bit of haggling. We invite you to come and visit us at our store and enjoy a little chat and a little haggling if you like (which means make an offer if you don't like the asking price.) We're a family-owned and operated business; husband, wife, and son.